The SOG Flash II TiNi Tanto knife model STGFSAT-98 has a partially serrated Tanto blade that is accessible with SOG Assisted Technology opening. The blade is heavy duty AUS8 steel with a non-reflective black TiNi finish. The handle is 6061-T6 anodized aluminum that is designed for durability and comfort. A safety lock incorporated into the handle ensures that the blade of the SOG Flash II TiNi Tanto remains secure when not in use. A reversible, bayonet-style clip is included for convenient carrying. 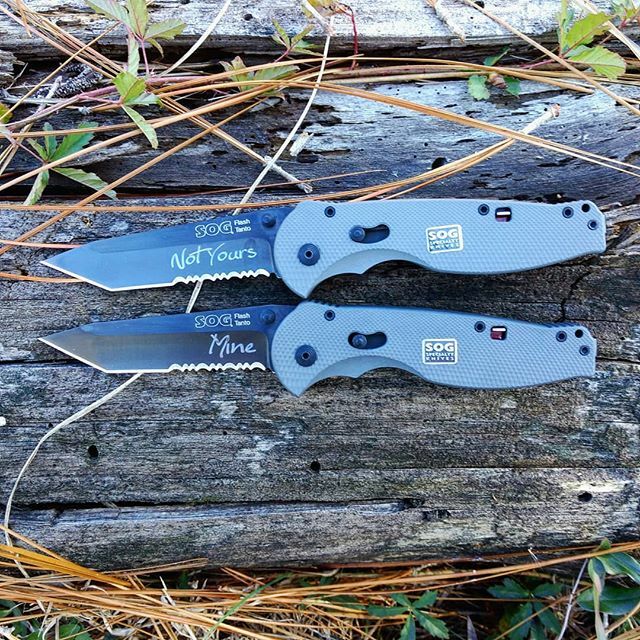 Own a SOG Flash II TiNi Tanto Knife STGFSAT-98? Tell us how you like it! Got a question? Ask! Somebody will answer!